Wild orchids of Finland - welcome! Welcome to see the wild orchids of Finland! How to navigate in these pages? Look below! Just a few thoughts of that how it would be possible to protect orchids in Finland. "Protection group"
Could we Finnish too start a society for our native orchids? From these pages you will find information of all of the orchids ever grown in Finland, as well as activities of our "unofficial orchid-hunter and -protector -group". We hope you will enjoy your stay with us! We will add more photos, so don´t forget to come to see us again! Search from this site with Google! Please notice that recent changes cannot be seen when you use this search! As the result of search, you will leave this site. Press "Back"-button to get back here, if your search will fail. Join the NativeOrchids -discussion list! 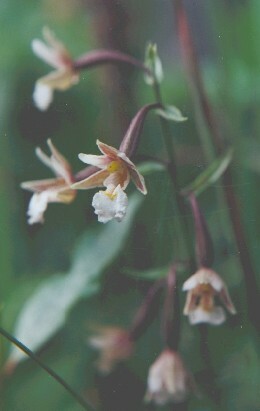 A new picture of Calypso bulbosa var. americana. The new photos are now listed. They can be found from the list of photos. There are some pictures in the "Öland-article" which don´t show any orchids, and they are of course not listed in the list. We have again changed the pages into more user-friendly mode. Also, look at the description of our trip to Öland. We have also added lots of photos, and I will index them when I´ll have time. The pages have now been indexed to Google and we are able to add this search engine into our pages.